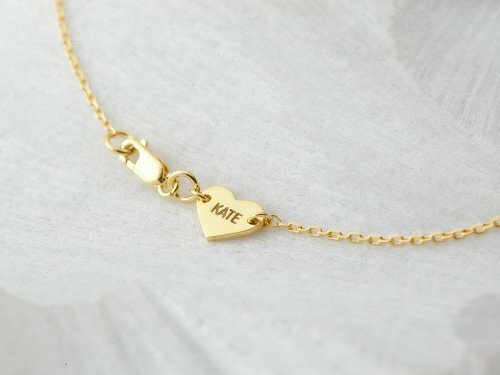 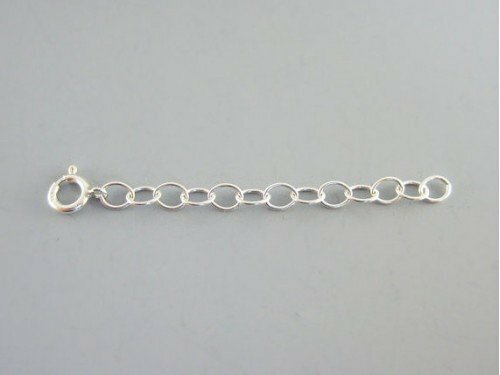 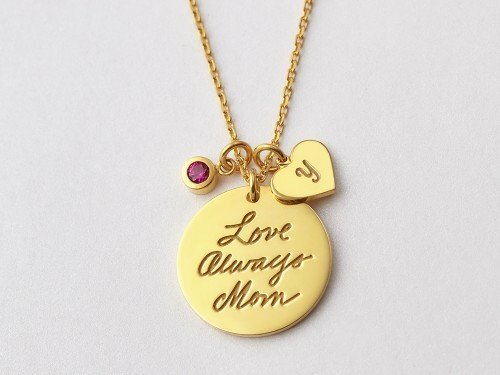 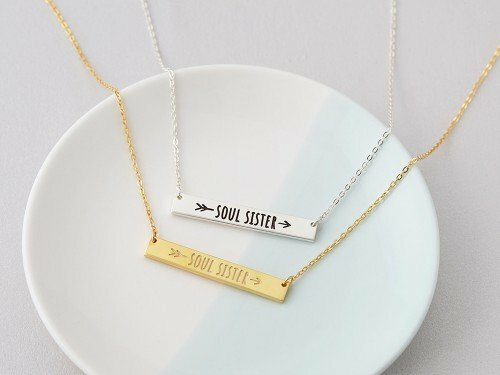 This set of sister necklaces for 3 are cute gift for a family with 3 sisters, or a trio best friends. 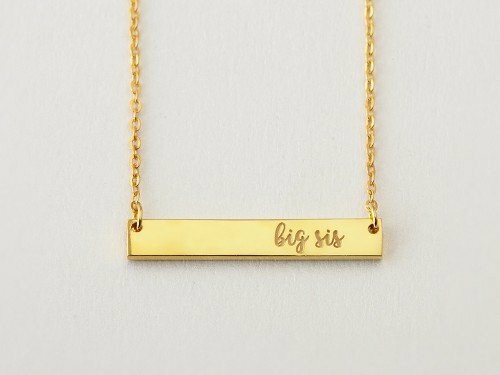 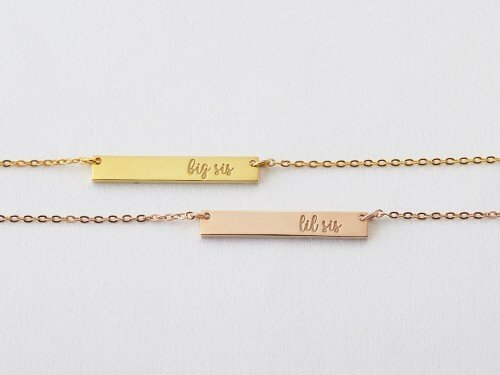 Engraved with big sis on one, mid sis on the second and lil sis on the last necklace, these sterling silver sister necklaces are a modern take on the class ic big sister, little sister necklace. 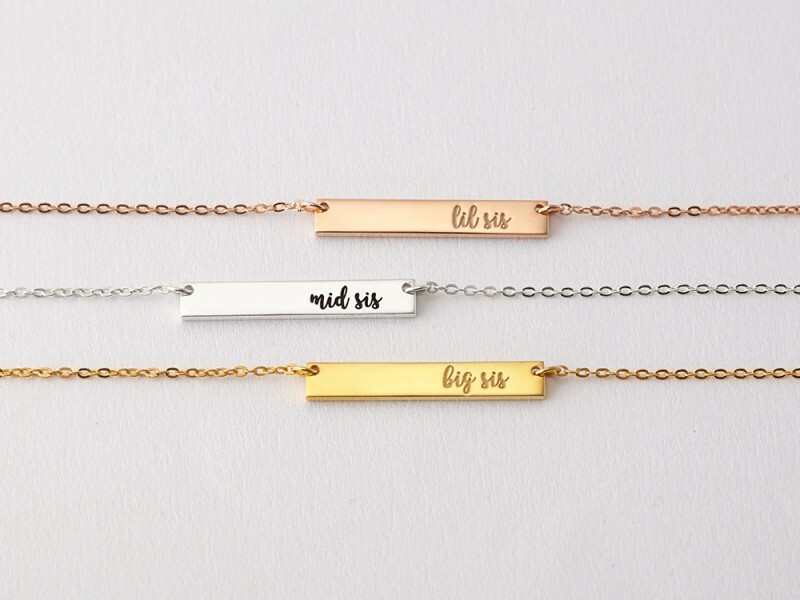 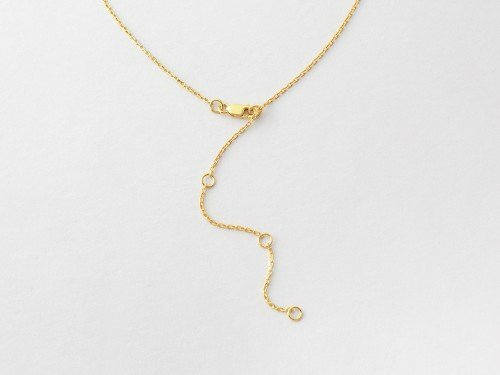 These versatile bar necklaces layer well with any thing you wear, and is pretty on its own.